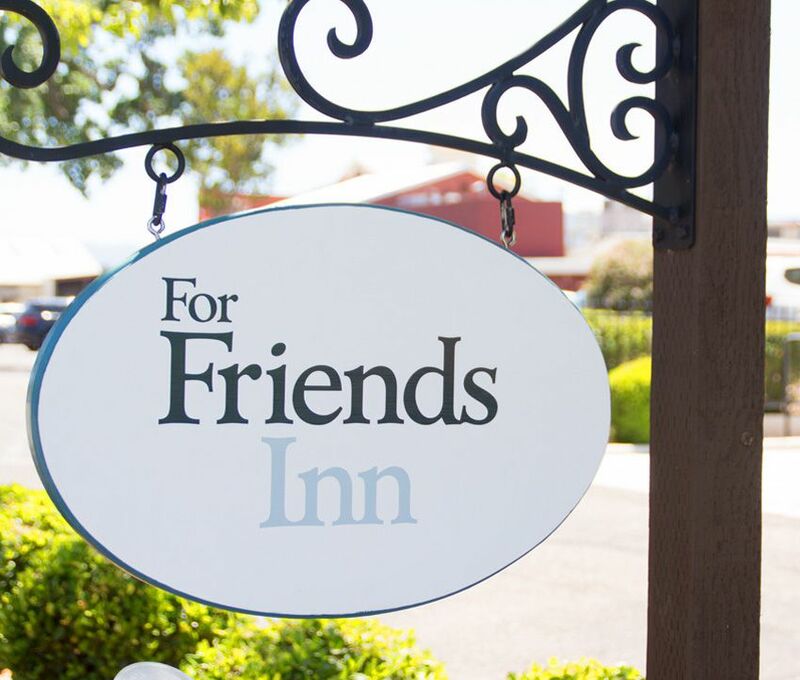 Welcome to ForFriends Inn, situated in downtown Santa Ynez, California and just five minutes from Los Olivos & Solvang. This immaculately detailed eight-room boutique bed & breakfast lies in the heart of the Santa Barbara County Wine Country and is surrounded by rolling hills, cattle ranches, horse farms and over 200 gorgeous vineyards and wineries. ForFriends Inn is within a short walk to tasting rooms and the area’s best restaurants and entertainment; and a short, traffic-free drive to all of the wonderful wineries and other attractions throughout the Santa Ynez Valley and the Santa Rita Hills. Completed in 2005, ForFriends Inn was built in the fashion of a large Craftsman farmhouse. Great care has been given to combine Wine Country and the New West with a touch of elegance to create a perfect wine country getaway for couples and friends seeking a brief respite from their busy lives. Eight large, elegant rooms in ForFriends Inn include six in the main house and two private cottages — the two-story Sunstone Tower and the cozy Kalyra Cottage. All of the rooms offer a California king-sized bed, large private bathrooms, sitting areas, premium linens, upgraded amenities, luxurious bathrobes, balconies and porches. All are elegantly appointed to provid you with an array of personal touches and all of the amenities you deserve. Every day at ForFriends Inn begins with a fantastic three-course breakfast, prepared with love. The fabulous meal includes many scrumptious homemade specialties like granola, breads and out-of-this-world egg dishes that are sure to satisfy any appetite. 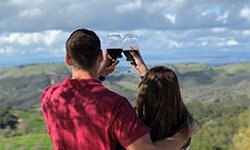 After breakfast you’re off to enjoy Santa Barbara Wine Country with our Friendship Pass entitling you to over $300 in complimentary wine tastings at over 40 excellent vineyards, and over $50 in free appetizers at local restaurants. After exploring the gorgeous Santa Ynez Valley, you’ll enjoy wine, hors d’oeuvres and friendly socializing during the festive afternoon happy hour in the floral Wine Garden or comfy front room. After happy hour you can enjoy a short, leisurely stroll to some of the Valley’s best restaurants and entertainment, just steps away in downtown Santa Ynez (no need to drive). Later, your evenings can be spent lounging on the Inn’s large wraparound front porch, strolling through the peaceful, lighted Wine Garden or relaxing on a private balcony with wonderful views of the Valley, surrounding mountains and infinite stars above. Some folks prefer making new friends, enjoying a beverage, or reading a good book in the warmth of the large stone fireplace in the Inn’s front room. 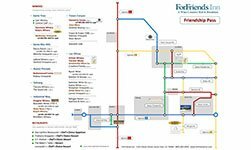 However you spend your time at ForFriends Inn, our main wish is that you arrive as guests and leave as friends. 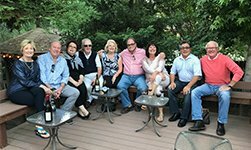 The name ForFriends Inn best tells the story of what folks can expect when they visit our little bed & breakfast: Friendship and fun. 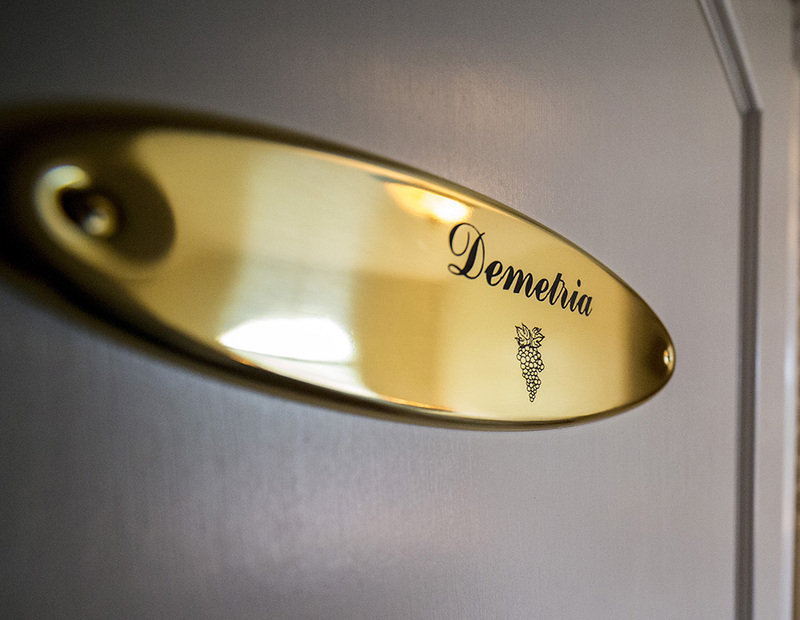 We thought it’d be a friendly idea to have our room names help guide our guests to some of the best places to enjoy wine, food and fun when traveling to the Santa Ynez Valley. So we’ve offered our local business partners the opportunity to have a room named after them. 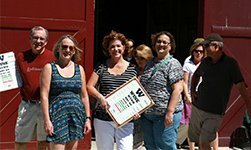 In addition to naming a room, the wineries will come to ForFriends Inn during our daily happy hours to pour their fantastic wines, offer delicious food and/or provide in-depth information about their services and events. This will give our guests a chance to learn intimate details about how, why and where the wines are made from the pros. In many instances the wineries will bring specialty and small-run wines only available to members and a select few. The Santa Ynez Valley surrounds the five towns of Santa Ynez, Ballard, Los Olivos, Solvang and Buellton. Aptly named “The New Town” when it was founded in 1882, Santa Ynez retains its historical western flavor with some of its storefronts still intact. By 1889, the town had become the focal point of the Santa Ynez Valley, both socially and economically, complete with mercantile stores, blacksmith shops, garages, grocery stores, a barber shop, harness shop, millinery shop and several saloons. The College Hotel, pictured above, was once the town’s main lodging establishment complete with Victorian design and sixteen roof turrets. The Hotel, which stood on Sagunto Street just south of Edison Street, hosted guests from all over the world. 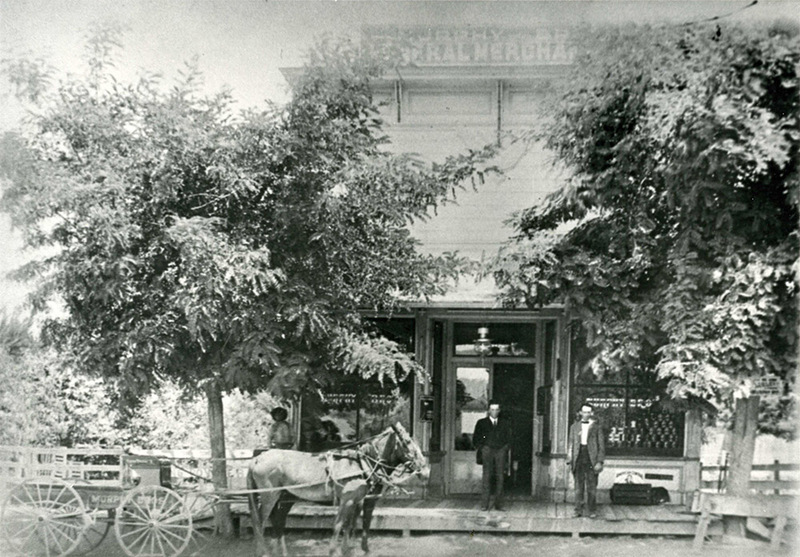 The stagecoach from Santa Barbara stopped in Santa Ynez at the College Hotel twice a day in the late 1800’s then proceeded down Edison Street toward the main stagecoach stop at Mattei’s Tavern in Los Olivos. Among the early settlers in the Valley were members of the Craig and Raymond families. Edna Raymond married Elza Craig on June 10, 1908 in Santa Ynez. Edna was 17 years old. The Craigs built their home on Edison Street in the Township of Santa Ynez. The home was situated on the site of what is now the ForFriends Inn and remained one of the oldest homes in Santa Ynez until its destruction by fire in 1962. Ownership of the property remained with the Craig family until 1994 when it was sold to the Inn’s owner. Edna Craig played piano and became the town’s second librarian in 1929, a position she served in until 1961. Elza, a barber by trade, built a town meeting hall known for many years as Craig’s Pavilion. The Pavilion was located adjacent to their home on the site now occupied by the Red Barn Restaurant (currently being rehabbed to reopen as a Brothers Restaurant). The Pavilion served as a town meeting hall and also offered midnight suppers and dancing. Legend has it that during prohibition, a “bottle” could often be found behind the bar. Edna and Elza ran the Pavilion until Elza’s death in 1938. Inspiration for the design of ForFriends Inn came from a combination of local history, the magnificence and Victorian flair of the College Hotel, and the graciousness of the Hewes Mansion, built by California pioneer David Hewes in 1881, south of Los Angeles. Construction of the Inn began in 2002, with the erection of the garage and the water-tower themed building to the rear of the property. Construction of the main building began in 2003 and was completed in August of 2004. Victorian, Craftsman and western era detail within the Inn was finished in December of 2004 and the Inn opened its door in time for the Christmas Season. Special thanks go to Terry (Craig) Thomas and Ray Craig, whose grandparents and parents brought vitality, hard work and achievement to the growth of the Township of Santa Ynez and to the Valley. Along with information from the historical Santa Ynez Library, a testimony to the skills of Edna Craig, and photos courtesy of the Santa Ynez Valley Historical Society, Ray and Terry have been gracious in lending their personal recollections of life in Santa Ynez, along with family photos and literature.